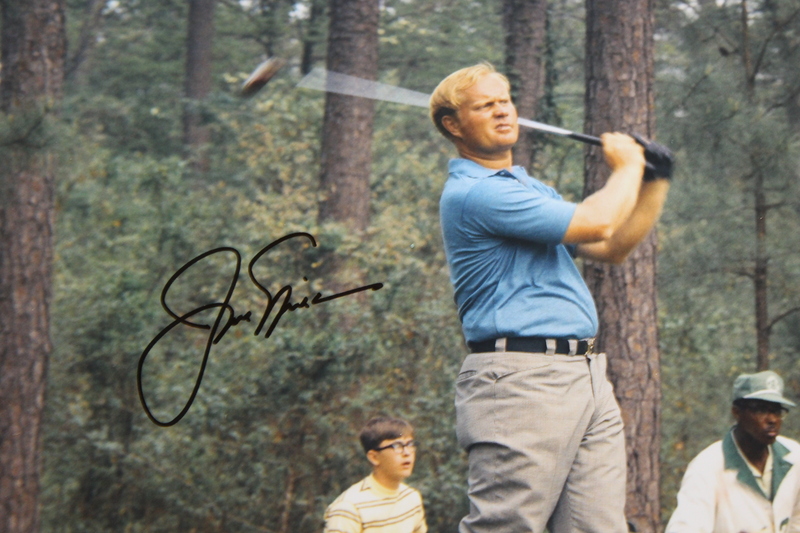 Offered here is an 11" x 14" color photograph of Jack Nicklaus post-swing at the Masters Tournament. Jack also signed the photograph nicely in black marker. 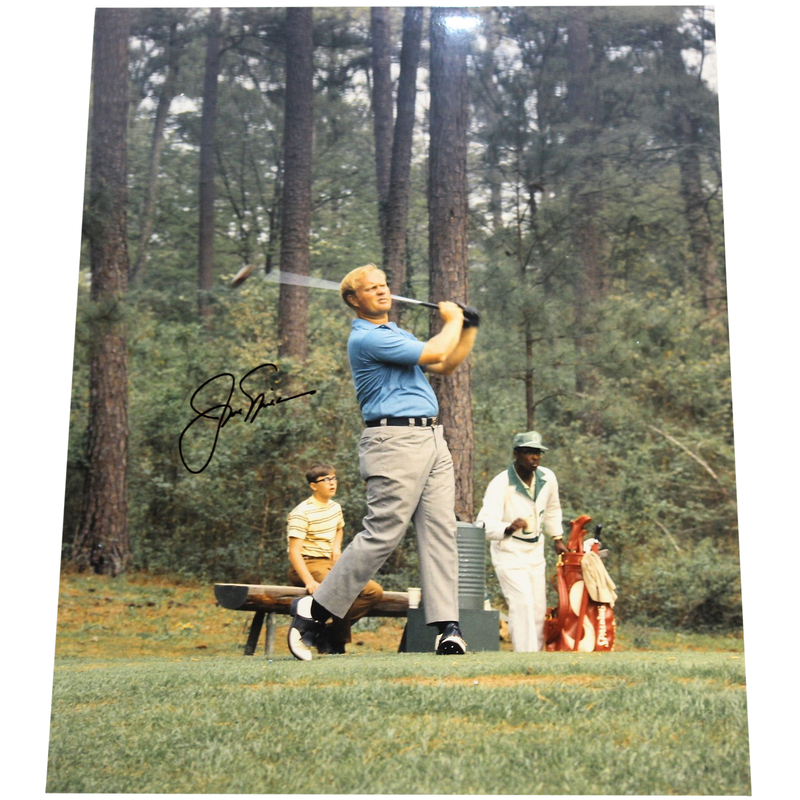 The Golden Bear tackled Augusta National every chance he got, winning an incredible 6 times at the Masters in 1963, 1965, 1966, 1972, 1975, and 1986.